IMAC doesn’t have to be a four letter word. Network Dynamics can handle all of your data center installs, moves, additions, and changes. Network Dynamics offers a variety of solutions to help your business navigate all stages of the IT lifecycle, optimize the efficiency of your IT organization, and decrease your total cost of ownership. Equipment procurement can be an arduous process, but Network Dynamics has all the tools you need to find the best hardware for your business at minimized cost. Network Dynamics buys and sells hardware from all the leading manufacturers including: IBM, Cisco, HP, Sun Oracle, and others. We maintain an extensive inventory of equipment, so we can ship your order quickly. Our expert sales representatives can help you choose the right assets for your business while simultaneously offering you extremely competitive rates, and our certified engineers can configure your equipment to suit your needs. As your infrastructure requirements change and grow with your business, Network Dynamics will be there to supply you with the hardware you need to take your business to the next level. Once you have found the right equipment, we can help you install it. Whether you purchase through Network Dynamics or another vendor, the certified engineers at Network Dynamics can install all hardware and software, complete the appropriate tests, and run diagnostics to ensure your product is working properly and installed correctly. Network Dynamics covers equipment from all the top manufacturers including IBM, Cisco, Dell, EMC, HP, Sun Oracle and more. We make it easy to maintain and manage all of your assets. We offer competitive SLAs that can be customized to suit your business’ unique needs, and our customer services is second to no other provider. Your unused IT assets could still have considerable value! We can help you determine the market value of your equipment to help you achieve the highest possible return. We will then offer to buy your equipment, trade it in for credit toward a purchase, or consign it for you. What if your equipment has no value? No problem. We can help you dispose of the equipment in a secure and environmentally responsible manner. Recycling your old IT assets is easy with Network Dynamics. We make every effort to re-purpose all usable equipment, and any part or machine that cannot be salvaged is disposed of in an environmentally friendly manner. We care about the environment. Our IT recycling program includes: Zero-Landfill Policy Adherence, Clean and Sustainable Disposal Practices, Asset Tracking, and Total EPA Compliancy. When recycling your IT assets is not a viable option for any reason, we can still dispose of your IT assets safely and environmentally. Furthermore, we guarantee our services will meet your expectations of transparency and quality. Network Dynamics deploys a global force of mobile disk shredders to securely and permanently obliterate old disks, safeguarding all sensitive data and company security. We will provide a Certificate of Destruction upon request, and you can move forward knowing your data is protected and your equipment has been disposed of to EPA standards. It’s unfortunate, but many IT professionals aren't aware that deleted files can be “undeleted” and provide confidential information to hackers and cyber criminals. This sensitive data can be as simple as a deleted email or as crucial as private business records and customer contact information. Network Dynamics guarantees your data security and peace of mind when you utilize our disk shredding and data erasure services. We guarantee that no data will be retrievable upon erasure, and we will provide a certificate of destruction upon request. Network Dynamics utilizes best-of-breed technology to wipe hard drives and disks to United States Department of Defense standards. When you become a Network Dynamics customer, you gain access to our online asset management solution. We’ll complete a comprehensive data center audit to ensure that every machine is managed in one place—even machines that are not under our support. That’s right—one detailed online library for all of your data center assets, regardless of manufacturer or support contract. • A detailed audit of your data center, including identification of critical and non-critical infrastructure components. • Online tracking and documentation for all IT equipment. • Identification of issues and warning signs before a small issue can become a major problem. • Tracking of current maintenance contracts and customized planning for future network applications. With our asset management tools, you’ll not only know where each machine and part is physically located, you’ll know its current status and receive alerts when it stops operating at maximum efficiency. 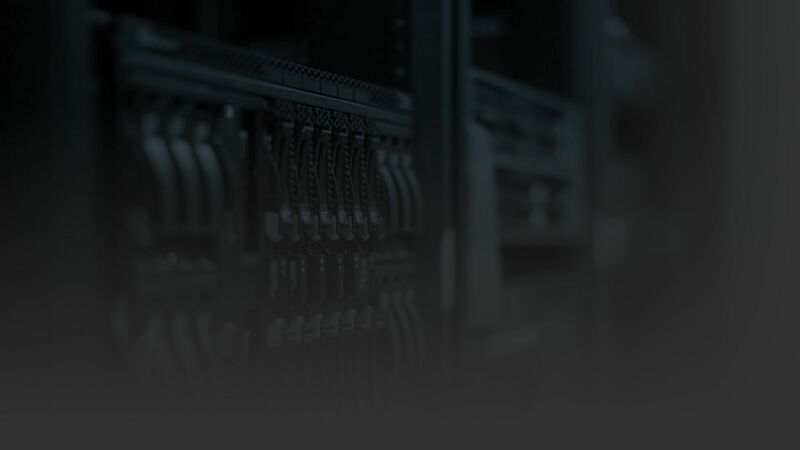 The Network Dynamics asset discovery and management solution increases data center efficiency and eliminates the risk of security threats to sensitive data located on unaccounted for devices.